Christian Stallworth, a junior LSM and defender at Santa Fe Christian, announced this week he has committed to play NCAA Division I lacrosse at the University of Detroit Mercy. The Detroit Titans, who began playing NCAA D-I lacrosse in 2009, are members of the Metro Atlantic Athletic Conference (MAAC), competing against programs such as Manhattan, Siena and Quinnipiac, among others. Detroit was 2-10 overall last spring, and 2-4 in conference. Detroit’s 2016 roster was young, though, with only 16 juniors and seniors compared to 32 freshmen and sophomores. Add to that a highly ranked business school and a good pre-law program, and the decision to leave sunny San Diego for the midwest was easy. 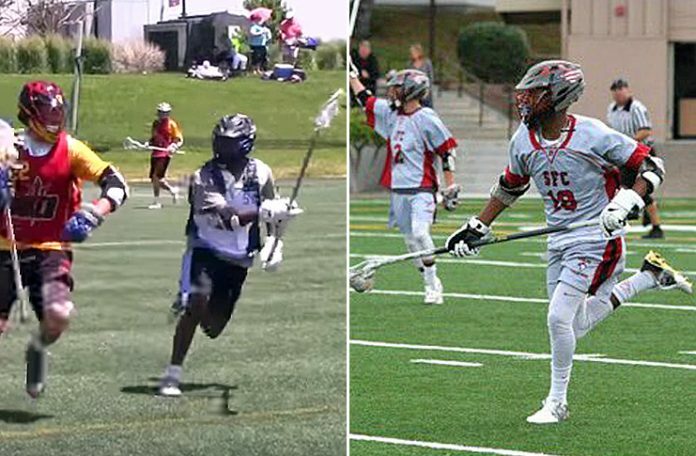 The 5-foot-11, 175-pound Stallworth said he and Dawson, the Bishop’s School midfielder who is committed to Harvard, have played together since middle school. As Stallworth entered his junior year without a Division I offer, he was beginning to wonder if he’d ever get one. Friends like Dawson and other teammates helped him stay positive. All it takes is one, as the saying goes, and Stallworth wound up getting what he called the perfect opportunity.